A second Windows Phone executive has joined Amazon, adding yet more fuel to the Amazon Phone fire. Robert Williams was previously senior director of Windows Phone business development, but he's just updated his LinkedIn profile to show that he's now at Amazon as "Director App Store". Williams' ship jumping comes hot on the heels of Brandon Watson's decision to leave his role at Windows Phone to join Amazon as director of Kindle cross platform. Neither of these appointments spells out Amazon Phone exactly; after all, just because you've worked on one phone platform doesn't mean you're destined only to work on phone platforms for the rest of your life. But they come at a time when we're all getting a little het up about the possibility of an Amazon Phone and make us think that the retail giant just might have a phone in the works. 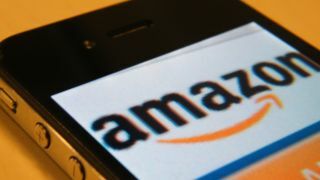 The latest from the rumour mill is that Amazon is currently testing some smartphone prototypes, with an idea to start selling them by the end of this year. We're expecting a 4- to 5-inch screen and Kindle-Fire-esque skinned Android operating system, should the phone ever come to fruition. As usual, Amazon's not saying anything on the subject – but we're more convinced that a Kindle Fire 2 is coming soon than we are of an imminent Amazon Phone launch.